Aspheric contact lenses are a newer design concept, filling a niche for clearer, crisper vision for certain patient populations. From the early days of hard, unbreathable lenses to the highly oxygen-permeable soft contact lenses of today, aspheric contacts are an updated, healthy and practical choice for many contact lens wearers. Traditional soft contact lenses that do not correct for astigmatism are designed spherically. Spherical contact lenses have an even curvature throughout the entire surface of the lens. Aspheric contact lenses, on the other hand, have varying curvatures across the surface, changing from the edge to the center of the lens. This gradient change of curvature allows for a different interaction between the lens and light entering the eye. The bending of light as it enters the eye through an aspheric lens produces, theoretically, a clearer image in certain patients versus light entering a spherical lens, according to Contact Lens Spectrum. Contact lens companies that design aspheric contact lenses claim that vision is crisper with this design versus spherical contact lenses. Better control of spherical aberration with an aspheric contact lens design is the reason behind this claim, according to CooperVision.com. Spherical aberration is defined as the inability of the eye to focus a clear image on the retina. Spherical aberrations occur naturally in all eyes to a certain extent, but more aberrations are introduced with the interaction of a contact lens on the eye. The result is an image that is not perfectly clear, according to Contact Lens Spectrum. A spherical contact lens scatters the light that enters the eye through the contact lens, creating multiple focal points. The gradient curvature design of an aspheric contact lens is meant to decrease the scatter that occurs when light enters the eye. Light is bent in order to meet at one focal point and create a clearer image for the viewer. According to Contact Lens Spectrum, only some aspheric contact lens designs successfully reduce spherical aberration to create a clearer image for patients when compared to spherical contact lenses. Traditionally, patients with significant levels of astigmatism in their prescription are fit with contact lenses designed for astigmatism, also called toric lenses. However, spherical lenses are often adjusted and prescribed to patients with low levels of astigmatism. Contact lens companies that produce aspheric lenses purport that the aspheric design provides patients with low levels of astigmatism clearer vision versus a spherical lens, according to CooperVision.com. Multifocal, or bifocal, contact lenses are traditionally designed with an aspheric design to create better depth of field. Many contact companies now offer a aspheric lens design option. 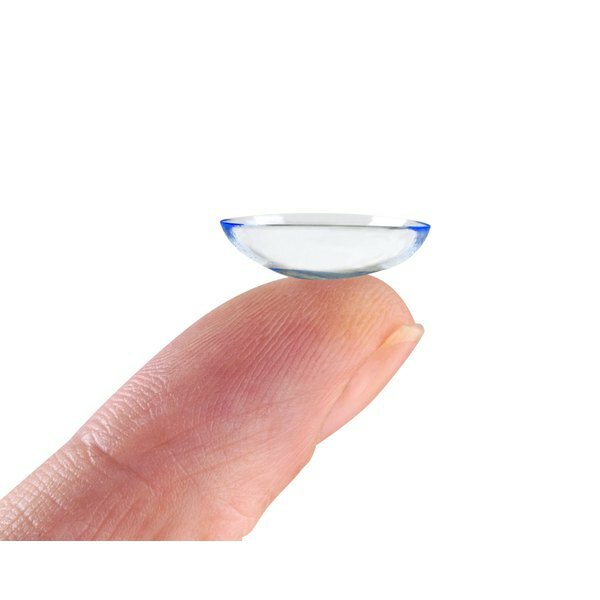 Asking your eye exam professional about these lenses and the benefit for your particular prescription is a good idea if your contact lenses are not providing optimal vision. A trial contact lens is often available before purchasing to test the difference between an aspheric and spherical contact lens. Contact Lens Spectrum: Are all Aspheric Contact Lens created equal?